Menlo Park resident Shay Patel was at it again this summer. 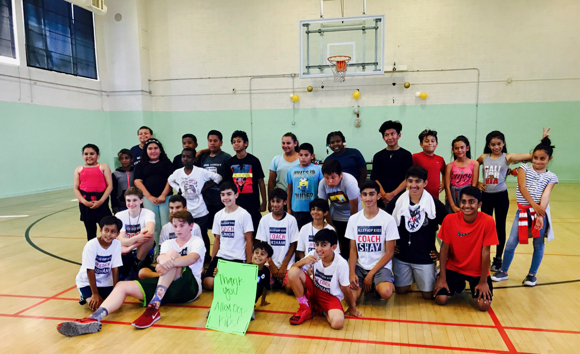 Through his Alley-Oop Kids organization (which we covered in 2015 and 2016), he ran an after-school camp for summer school kids in the Ravenswood School District in East Palo Alto. Shay and his team ran drills, contests and scrimmages for approx 60 kids (all rising 6th graders) and hosted a few guest speakers to talk about teamwork and growth mindset.